Teachers in Scotland have rejected the latest pay offer from the Scottish Government, and look set for industrial action. This has been supported by Scottish Labour, who have criticised the current administration’s handling of education. 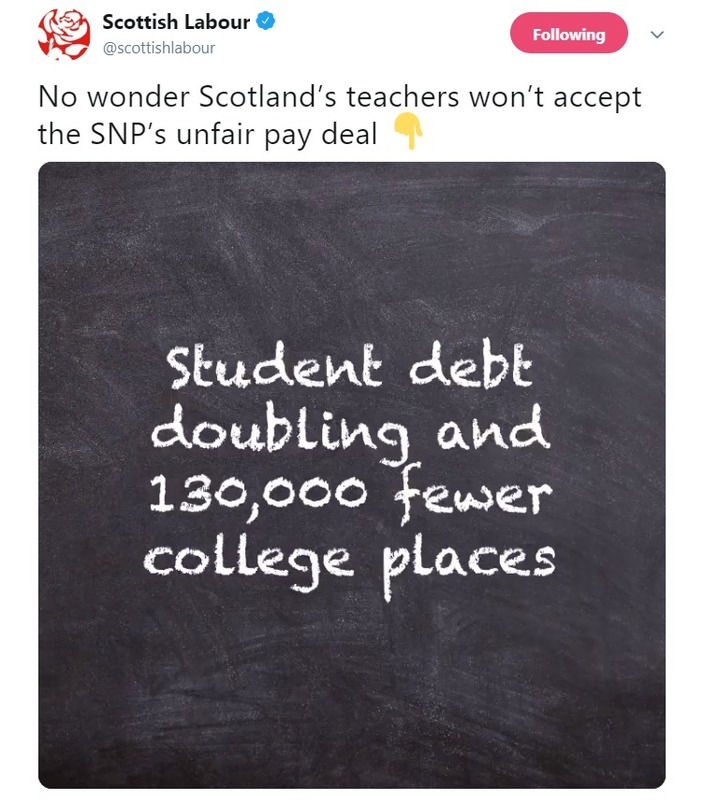 In a video published on Twitter, the party criticised a number aspects of the SNP government’s record on education, including a claim about the increasing level of debt for students. Ferret Fact Service looked at the claim and found it to be True. The amount of debt that is accrued by university and college students is a significant point of contention in Scotland, which scrapped upfront fees and graduate endowments in 2008. While students here do not pay fees for their university education, like elsewhere in the UK many accrue debt by taking out living cost loans from the government through the Student Loans Company. The amount of money paid in loans has increased significantly since the SNP took power in 2007. In response to a request for evidence, Scottish Labour provided figures from the Student Loans Company showing the overall balance of income contingent student loans in 2017-18 is £4.98bn, up from £1.85bn in 2007-8. This is an increase of 169 per cent. While the claim does not provide a specific timescale for the increase, the party confirmed it was from 2007-8, the first year of SNP government. The total value of loans given out each year has also increased consistently, with £528.4m given to students in 2017-18, compared to £184.3m in 2007-8. However, these figures in isolation do not give a full picture of the amount of debt for each student, as they do not take into account the increasing number of students being accepted into university each year. Nor does it take into account rising living costs for students due to inflation. In 2017-18, there were 241,935 students enrolled in Higher Education (HE) establishments in Scotland, with 183,795 of these studying full-time. In 2007-8, there were 210,180 students enrolled across Scotland. Even with this increase in students, the amount of debt accrued per student has increased in the last decade. The average amount owed by students leaving HE in 2008 was £5,980, while latest figures show the current figure is £13,230. When adjusted for inflation at 2017-18 prices, there has still been around a £5700 increase, or 75 per cent. This is the lowest level of average student debt in the UK, as successive governments in Scotland have reduced and eventually abolished upfront fees and graduate endowments. One reason put forward for this increase in Scotland, where debt has gone up every year since 2011 having fallen between 2005 and 2011. 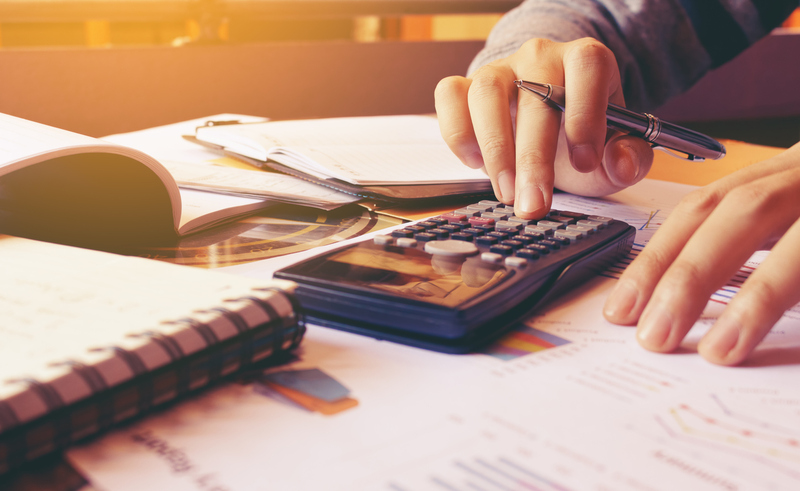 There has been a move away from using bursaries and grants to fund living costs, with more loans being used which are required to be paid back once a certain income threshold is reached. The debt owed by graduates is payable only when said threshold is reached, currently set at £22,000 and scheduled to rise to £25,000. College places have consistently gone down in recent years. The Scottish Funding Council’s latest statistical release shows a decrease of around 143,500 people in college education in Scotland between 2007-8 and 2016-17. The latest figure of 235,737 is slightly up from the two previous years but still significantly lower than when the SNP took power. The claim in the graphic produced by Scottish Labour is broadly accurate. The overall level of debt has increased to more than double its figure in ten years since the SNP got into power. However, the overall level of debt is perhaps not the best indicator, with the average level of debt for each student giving a clearer picture of the impact on those who are studying. The amount of debt for graduates has increased as a consequence of increasing use of loans and rising living costs, when accounting for inflation the amount is not quite double what it was ten years ago. As of last year, college places are in fact over 143,000 fewer than in 2007-8. Ferret Fact Service (FFS) is a non-partisan fact checker, working to the International Fact-Checking Network fact-checkers’ code of principles. All the sources used in our checks are publicly available and the FFS fact-checking methodology can be viewed here. Want to suggest a fact check? Email us at factcheck@theferret.scot or join our community forum.